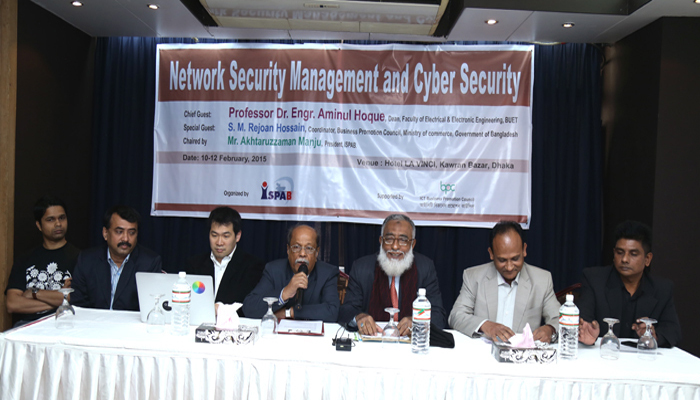 ISPAB has organized the training and workshop on `Network Security Management and Cyber Security’ in association with IBPC. The 3 days program is inaugurated at 10 February 2015, at Hotel LA VINCI. Mr. Keisuke Kamata from Japan and Mr. Fakrul Alam Pappu, CTO bdHUB Ltd. are the honorable trainers.